automatic mode, a sound-to-light mode is also available to the user via the built-in microphone. The lightmaXX Platinum CLS-3 MkII 28x 8W RGBW is the 3rd CLS system in the family. 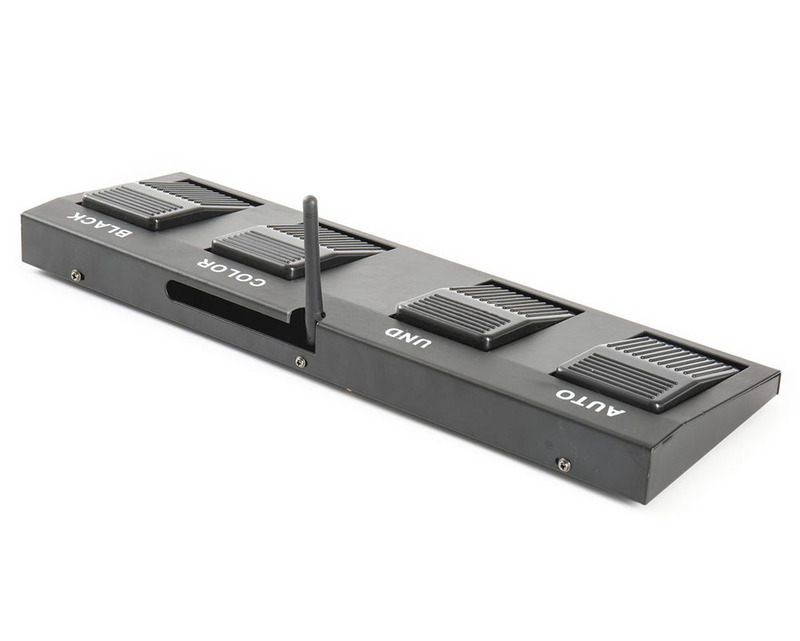 This LED-BAR consists of 4x LED panels mounted on a guide rail in any horizontal position. 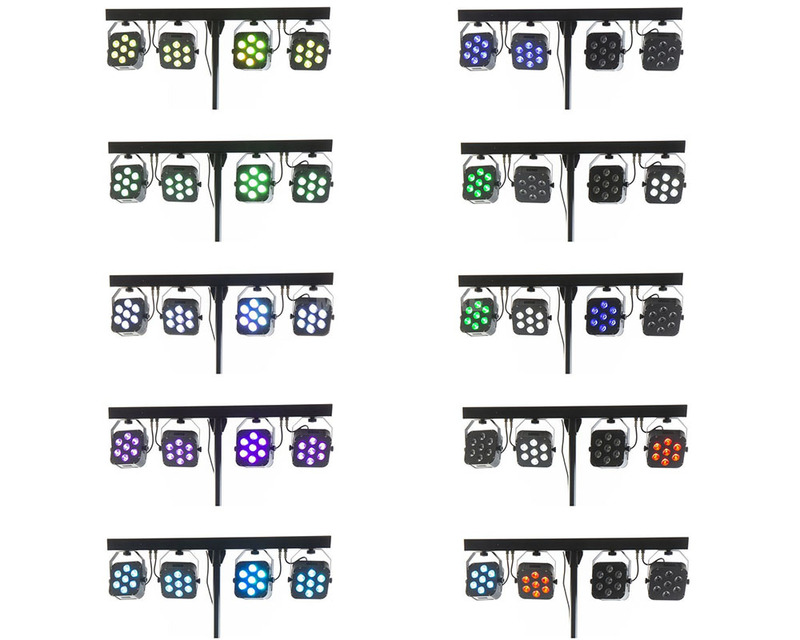 The spotlights are equipped with a total of 28x 8W LEDs. The LEDs have the basic colours red, green, blue and white, so that any further colour can be easily produced by mixing. The beam angle is 35°. The control takes place via the built-in programs. In addition to an automatic mode, a sound-to-light mode is also available to the user via the built-in microphone. Several LED-BARs can be easily controlled via the master/slave connection. 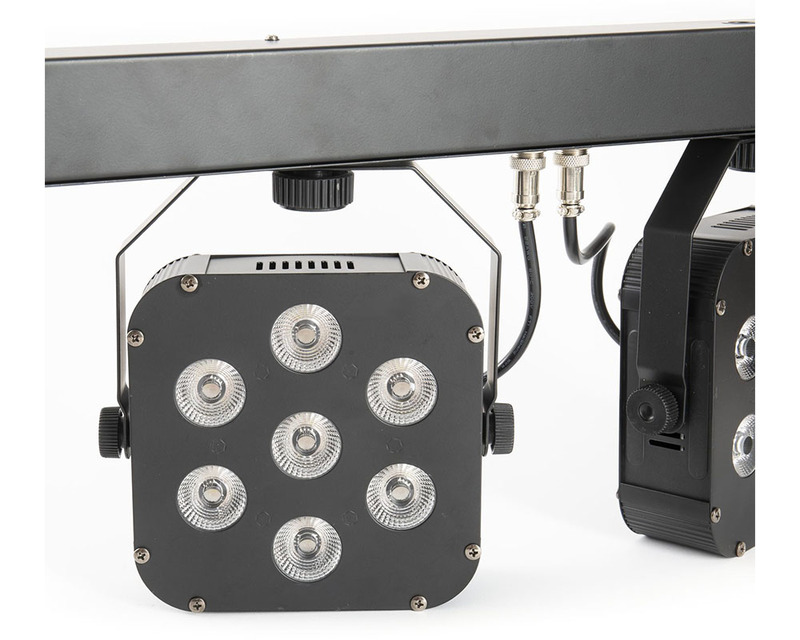 In addition to the built-in programs, the Platinum CLS-3 MkII can be controlled via DMX with 5, 8 or 20 channels. The important functions and settings are made via the LCD display and the operating buttons on the rear panel. The scope of delivery also includes a wireless foot switch and a remote control, thanks to which functions such as chaser programmes, single colours, Full On or strobe effect can also be easily activated at the touch of a button. 2x additional mounting points on the upper side of the Platinum CLS-3 MkII allow additional lighting effects to be mounted. The CLS-3 QUAD is an absolute all-rounder and a perfect companion for every mobile DJ.